Guru Nanak Dev Ji’s Gurpurb (Birthday) was marked with a historic celebration at the Houses of Parliament. 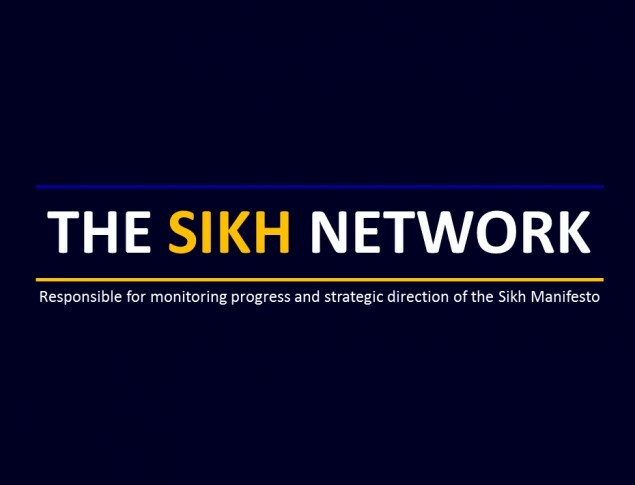 The Sikh Network, the Sikh Federation (UK) and the All Party Parliamentary Group (APPG). for British Sikhs organised a befitting evening of celebration, inspiration and recognition. The event was full and attracted many politicians, professionals, business people and media outlets. Rob Marris, Chair of the APPG for British Sikhs opened followed by Tom Watson, the Deputy Leader of the Labour Party and Alison Thewliss, SNP MP for Glasgow Central. Tom Watson MP provided a warm welcome and recognised the contribution of Sikhs to Britain, he also reiterated his commitment to addressing the lack of Sikh representation in Parliament. Councillor Preet Kaur Gill from Sandwell delivered a moving key note speech on the life of Guru Nanak Dev Ji and his message of equality she also linked the inspiring story of Princess Sophia Suffragette a pioneering Sikh female activist. Children from the Khalsa Secondary Academy shared their unique personal perspectives on the life of Guru Nanak Dev Ji, as did senior representatives from interfaith groups including David Walker, the Bishop of Manchester, Chair of the Advisory Council on the Relations of Bishops and Religious Communities and Ibrahim Mogra the Assistant Secretary General of the Muslim Council of Britain. Other speakers included Jas Singh from the Sikh Network, Parmjit Singh Dhanda the first and only Sikh Government Minister, Pete Singh Virdee and Makhan Singh Padda owner of Vicarage Nurseries, whilst the whole event was hosted by Dabinderjit Singh adviser to the Sikh Federation (UK). Some of the MPs who attended included; Fiona Mactaggart, Pat McFadden, John Spellar, Emma Reynolds, Keith Vaz, Stephen Timms, Kate Green, Seema Malhotra, Marie Rimmer, Jonathan Ashworth, Imran Hussain, Khalid Mahmood, Julian Knight, Bob Blackman. Whilst apologies were received from many others. Jas Singh from the Sikh Network said “it great to be marking Guru Nanak Dev Ji’s Gurpurb in Parliament, as he was not only the founder of the Sikh Faith, but also the first Sikh Activist. As Sikhs around the world celebrate in Gurdwaras, this year we are delighted to be also celebrating it in the UK Parliament, keeping to the Sikh tradition of Miri Piri. The Sikh Network and the Sikh Federation (UK) warmly thank all those who attended and supported this event, especially our sponsors Vicarage Nurseries and the Sikh Channel. Everyone collectively shared Guru Ji’s universal message of One God, Truth, Equality and Activism. Bapu Surat Singh Khalsa, an 82 year old grandfather and human rights activist, who left the comforts and luxuries of his life in the USA behind to peacefully campaign in India to free Sikh political prisoners languishing in Indian jails, many who have served years beyond their original terms. The 16th January 2016 will mark 365 days of his hunger strike, for this humanitarian cause. During this testing year, Sikhs across the world have been supporting Bapu Surat Singh by holding local protests, signing petitions, social media campaigns, blood drive campaigns and ongoing prayers in their homes and local Gurdwaras as a sign of solidarity and support for the campaign and struggle for Justice in India for religious minorities. Despite having been repeatedly abducted from his home where he was peacefully continuing his protest and taken to nearby hospital where he has been force fed, he has remained steadfast to his promise. Furthermore his children, family members, campaign team members have been threatened, harassed and arrested. It is widely rumoured the Indian authorities even had his son in law was murdered in Chicago to pressure to break Bapu Surat Singh’s resolve. However such attempts including the usual lies and propaganda to discredit him and the cause have all failed and the truth and campaign remain active. To commemorate this immense personal sacrifice, The Sikh Network in conjunction with Guru Nanak Gurdwara Smethwick, and many talented artists and poets, will be presenting an exhibition of Arts at the Guru Nanak Gurdwara in Smethwick. Bapu Surat Singh Khalsa, an 83 year old grandfather and human rights activist, who left the comforts of his life in the USA behind to peacefully campaign in India to free Sikh political prisoners languishing in Indian jails, many who have served years beyond their original terms. On the 16th January 2016 he marked 365 days of his hunger strike, for this humanitarian cause. During this testing year, Sikhs across the world have been supporting Bapu Surat Singh by holding local protests, signing petitions, social media campaigns, blood drive campaigns and ongoing prayers in their homes and local Gurdwaras as a sign of solidarity and support for the campaign and struggle for Justice in India for religious minorities. To commemorate the 1 year sacrifice milestone the Sikh Network presented a well-attended and received art exhibition in Smethwick, Birmingham. This exhibition now reaches Bristol on the next part of the tour and brings together the work of established and emerging artists and poets from within and outside the Sikh community who have been creatively inspired by the human rights campaigner. A wide variety of mediums have been used including charcoal/pencil drawings, paintings in oils and watercolours, embroidery and sculpture. From the healthy figure at the start of the hunger strike to the now hollow bony frame the exhibition traces Bapu Surat Singh’s journey for justice. The exhibition is held in a Sikh place of worship. In some areas of the building visitors are required to remove their shoes and cover their heads, though this is not required in the exhibition hall.